Well, it’s not exactly hiking (unless you count climbing the stairs). It’s walking. It’s a wonderful wander along an elevated railroad-turned-walkway that runs for more than 15 blocks down Manhattan’s West Side. Central Park might make the postcard pictures, but in popularity stakes the High Line is not far behind. It’s one of my favourite spots in the city, and since I first visited three years ago it’s grown, stretching a further ten blocks from the old end point at West 20th. The public park – reclaimed and maintained by non-profit community group Friends of the High Line – was in the works for ten years before it opened in the summer of 2009. A space that sits as “a monument to the industrial history of New York’s West Side”, the High Line is both relaxing and rejuvenating. Space and greenery remove you from the street-level bustle of the Big Apple, yet there is still a strong sense of the city, surrounded as you are by the rooftops and mid-level windows of Chelsea apartments and art galleries. In some spots you can glimpse the train tracks from the park’s previous life, not quite taken over by the carefully selected vegetation. Other areas have arena-style seating, water features and moveable sun loungers looking out to New Jersey and Lady Liberty. There’s food to feast on during your stroll, as well as art installations to ogle. But the real feast for your eyes is the city itself, which from here takes on an alternate appearance. It is not an aerial view but an elevated one: one that is a must-see for visitors and locals alike. Where can I find the High Line? As of 2016, the High Line begins at 34th Street Hudson Yards, and ends at Gansevoort Street in the Meatpacking District. When can I visit? Hours vary, but are usually 7am-7pm in winter, and 7am-11pm in summer. 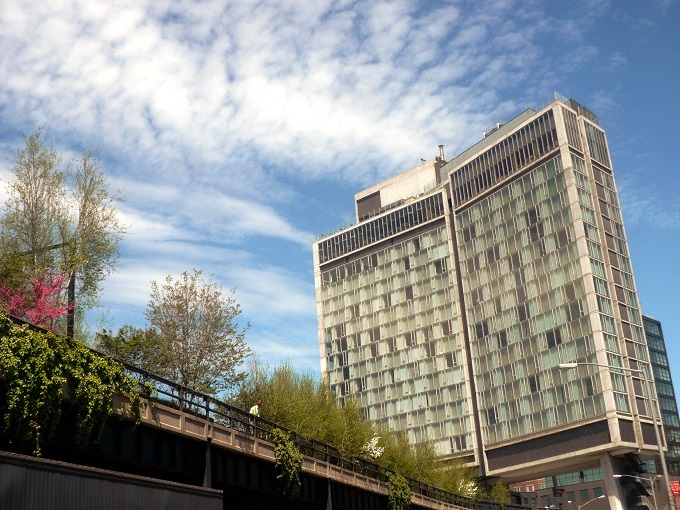 For updated information, check the Friends of the High Line visitors page. 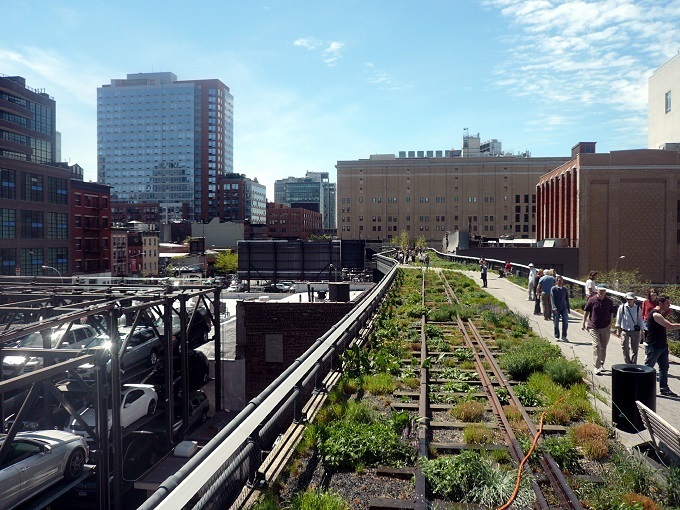 Have you ever walked along the High Line, or would you like to? Let me know in the comments below – I’d love to hear from you!